Having spent two decades behind the camera for commercials and a mini-series ai??i? ?Top of the Lake (2013), Australian filmmaker Garth Davis has plunged into mainstream cinema with his directorial debut Lion. With six Oscar nominations, including Best Film and Best Supporting Actor for Dev Patel, the film traces the story of a young man raised in Australia who goes back to India in search of his lost village and birth mother. Adapted from the book A Long Way Home, penned by Saroo Brierly (on whom the story is based), the film also stars Priyanka Bose, Sunny Pawar and Academy Award-winners Nicole Kidman and Rooney Mara, who is also set to play the lead in Mary Magdalene, Davisai??i?? next venture, based on the Biblical character. We caught up with the Cannes Gold Lion-winner during his recent visit to Mumbai and he speaks about his inspirations and Dev Patel. It all began when the producers showed me an article about SarooAi?? Cheap noroxin dosage finding his mother and I fell in love with the story. The producers eventually acquired the life rights and then I was thrown into a research journey to India. During that time, the book had also come out. So we were on it quite early. The fact that SarooAi? ?survived his homelessness at the age of five is a miracle in itself. That he was adopted to Sue is a miracle. She had a vision and knew it was destiny that she was going to adopt a brown-skinned child. I think Dev had reached a point where he felt like he was being typecast and felt he had more to offer. I was also cautious of casting him right away because of his previous work, which was brilliant, but those were just not our kind of films. So I workshopped him in London and tried to tone down his extroverted performances and centered him. And we got to a place where I said, ai?? ?this is your roleai??i??. He prepped for six to eight months, putting on weight and crafting an impeccable accent. The beautiful thing about Dev is his spirit, he is a light. 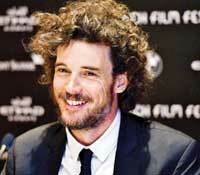 Lion is set to release on February 24.